-Give your artist the clean recycled popsicle or craft sticks and paint/markers/crayons. Allow them to decorate both sides of the sticks. 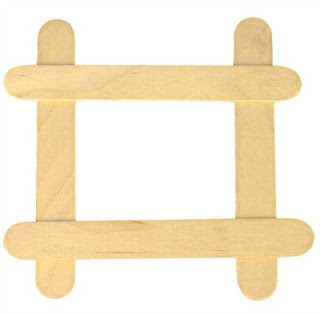 -Apply glue to each of the four ends and connect them in a square shape to create a frame. -Apply glue to the gems or rhinestones and apply. Attach stickers to the frame to add more detail. -Allow to dry and insert a family photo in your handcrafted frame! -This is a great gift ideas for loved ones near and far. We want to see your projects - share your child’s creation with us on our Facebook page! For more projects like this, check out our my Chelsea art opening classes.